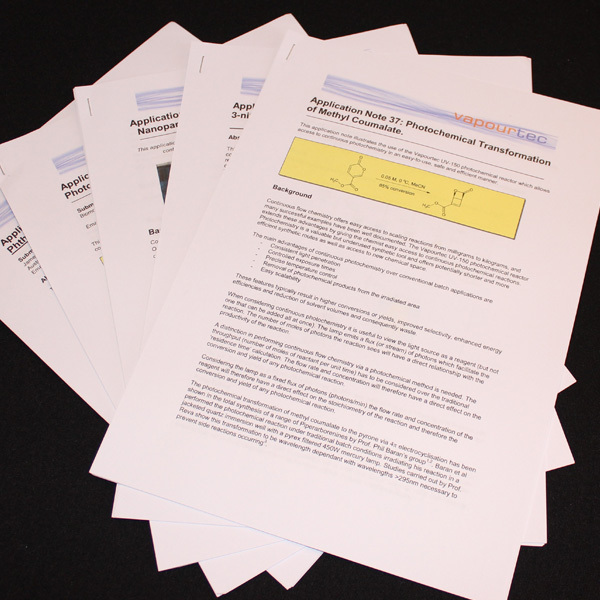 This application note illustrates the use of the Vapourtec UV-150 photochemical reactor for the conversion of phthaloyl glycine to N-methylphthalimide. 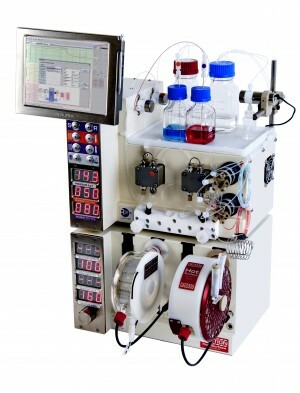 The transformation has been systematically optimized in terms of reagent concentration and residence time. The optimized procedure was subsequently performed on large-scale, achieving a productivity of 1.15 g of product per hour (or 27.6 g per day). 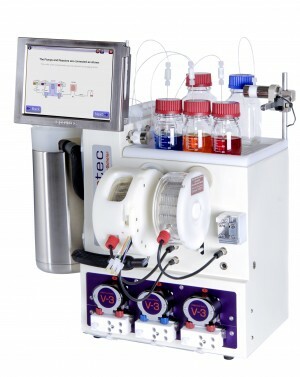 The reactor enabled continuous photochemistry in an easy-to-use, safe and efficient manner.